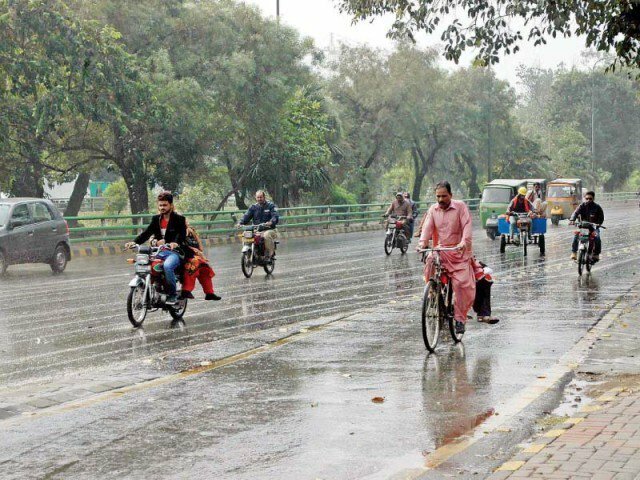 ISLAMABAD: The second spell of monsoon is expected to hit scattered areas of upper parts of the country from Tuesday with moderate intensity coupled with gusty winds and thundershowers next four to five days. Rainfall is likely in Malakand Hazara, Rawalpindi Gujrawalan and Lahore on Tuesday while the intensity of the spell would increase on Wednesday with moderate to isolated heavy fall in Malakand Hazara, Rawalpindi, Gujrawalan Lahore, Peshawar, Mardan. The spell would expected to continue till Saturday, an official of Met office told APP. In next 24 hours, mainly hot and humid to grip most parts of the country. A seasonal Low lies over North Balochistan with its trough extending eastward. In last 24 hour, weather remained hot and humid in most parts of the country. Maximum temperatures recorded during this time span remained Sibbi 48°C, Nokkundi, Bhakkar, Rohri, Dalbandin, D.I khan, Turbat 45°C, Islamabad, Gilgit, Peshawar, Faisalabad, Multan 41°C, Muzaffarabad 40°C, Chitral, Lahore 39°C, Quetta, Hyderabad 38°C, Karachi 34°C, and Murree 28°C. Explainer: What causes the monsoon rains?